What’s next from the creator of Wing Commander? We’re nearing the end of a countdown, leading up to an announcement on 10/10/2012 at 10 AM (New York time) from Chris Roberts, creator of the Wing Commander franchise of video games. Wing Commander, without hesitation, was the game that made me a “PC Gamer.” Wing Commander III, then IV, then Prophecy… sure I had DooM, Duke3D, Quake II, and Unreal. But I never threw myself so deeply in to any saga as I have the Wing Commander games. And when I heard that Chris Roberts started up something new he’s posting over at RobertsSpaceIndustries.com (RSI) – well, you can guess I’m going to be onboard that vessel when it launches. While we don’t know what the final announcement will be in its entirety, we have been handed several clues. Whatever it is, it seems that there will be some sort of closed “beta” phase – this is hinted at by the “golden tickets” that you can only get by signing up for the site BEFORE the announcement is made. Also, since the “RSI” unveiling, Chris Roberts has been slowly taking visitors through the history of the Wing Commander universe. Several polls have been posted on the site, many of them trying to get a feel for what someone wants in a game. But if the game were this early in its inception, that they were just getting ideas, would they really be teasing it like this? I doubt it. Another recent poll asked what made Chris Roberts’ games great – the feeling of playing a movie? The large universe? The visceral combat and flight simulation details? I’m starting to think that these polls aren’t trying to gauge responses, but rather build hype. Recently, members of the of the site received a message from one of the administrators. Though not spoken aloud, there are some clear indicators that this game is going to be an MMO Wing Commander experience. Why else would we “golden ticket” holders be told that, “should you choose to join us on our new adventure — will receive defining gold decals for your spaceship to immortalize your early support.” Certainly wouldn’t need those decals in a single player game. True, it might be nice, but I far more often see “founders” emblems in online games. The brief letter ends with “Together we will shape the universe – one or one million polygons at a time.” By together and at a time are they alluding to all at once? Is in, simultaneously? Online? Shaping a persistent universe? All of this, paired with my February discovery of an extension with the U.S. Patent Office of the “Wing Commander” brand, and other rumored work involving Chris Roberts’ and some original Wing Commander III and IV cast members in Detroit, I think we’re going to see something new. 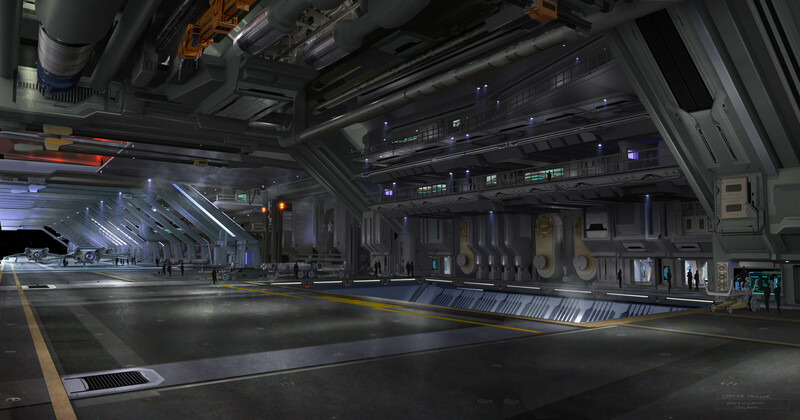 An MMORPG that will feel very much like Privateer, take place in the Wing Commander universe, and rather than just a handful of cut-scenes, it will involve video briefings by familiar Confederation faces. I guess we’ll find out in just a few more days, though, won’t we? Going "legit" with digital movies – is Vudu worth it?